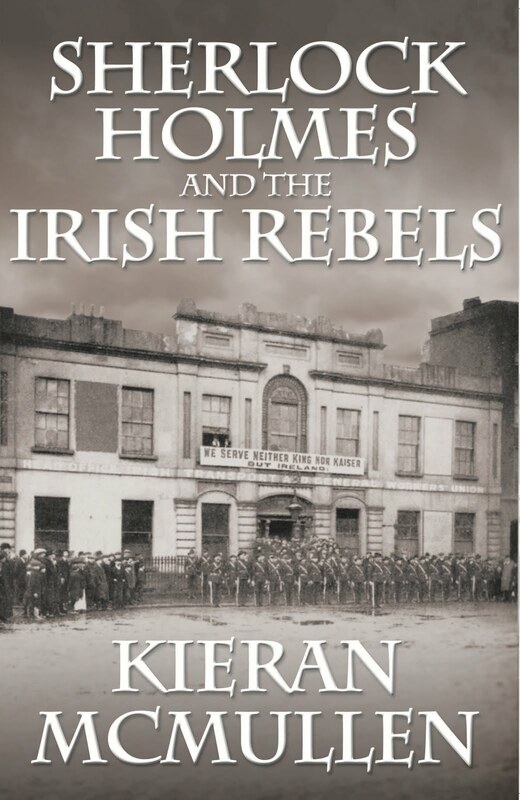 Kieran McMullen has described his new novel, Sherlock Holmes and the Irish Rebels, as a boys’ adventure story. That it is, and a good one. But I can’t help but think that female Sherlockians — especially Irish lasses — might enjoy it as well. Part of the appeal of the book to me is the time frame. The post-1914 adventures of Holmes and the faithful Watson have always been a source of enjoyable speculation to me, and this tale concerns the events leading up to the Easter Rising of 1916. Mycroft Holmes has enlisted his younger and more energetic brother, still in the guise of the Irish-American Altamont, to infiltrate the Irish Volunteers, find out their plans, and — if possible — stop the looming rebellion. The fact that we know what is going to happen on Easter 1916 while the characters do not know the future makes the story more suspenseful rather than less so. And it gets increasingly exciting as our heroes approach their rendezvous with history. The author of Watson’s Afghan Adventureand a serious student of Irish history, McMullen has filled his book with real people and historically accurate incidents. It’s as if Holmes and his troupe had stepped into history, much like Zelig in the Woody Allen film of that title. And we all know that anything can be made just a little better with Holmes & Co. as part of it!